Steve got some excellent images of the Batmobile from Batman v Superman: Dawn of Justice while at the Las Vegas Licensing Expo today, but there’s more than meets the eye when it comes to the Batman’s bruiser of a vehicle. 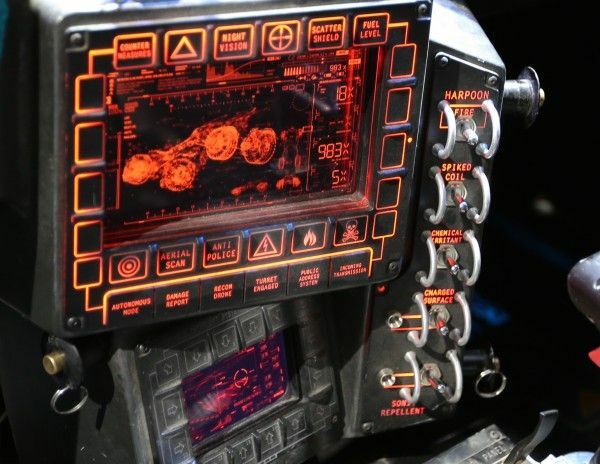 It looks heavily armored and what weapons are visible certainly look nasty, but a glimpse of the Batmobile’s interior reveals much more in store for whoever crosses the Dark Knight. While the offensive and defensive capabilities of the vehicle should prove more than a match for the regular members of the Rogues Gallery in Gotham, Batman’s war with Superman is going to require the Caped Crusader’s A game. I leave it to you to decide whether or not he’s got the firepower. Single-handedly designed and fabricated in near complete seclusion by The Batman, this infamous pursuit and capture vehicle has earned its reputation as the apex predator on the mean streets of Gotham City. Over powered with an unmatched hybrid of prototype military and civilian performance technologies, this top machine has been estimated to reach speeds of up to 205 MPH. The Batmobile’s imposing defense capabilities, supported by stolen Wayne Industries technologies, have been integrated with the latest in covert military grade armaments, stealth and active protection systems. 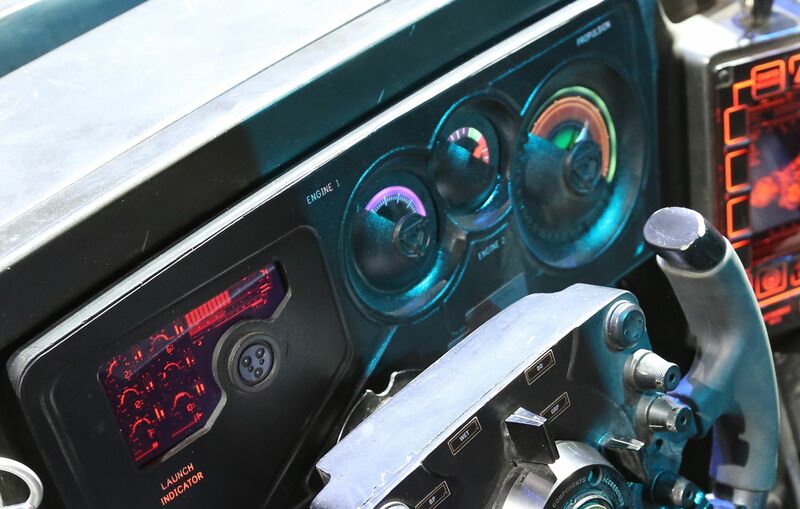 I’m not a rocket scientist but the “Launch Indicator” and “Propulsion” sections of the Batmobile’s gauge cluster suggests some serious booster power. The specs suggest a top speed of 205MPH (which seems almost slow…) and it looks like it’ll take two engines to get there. 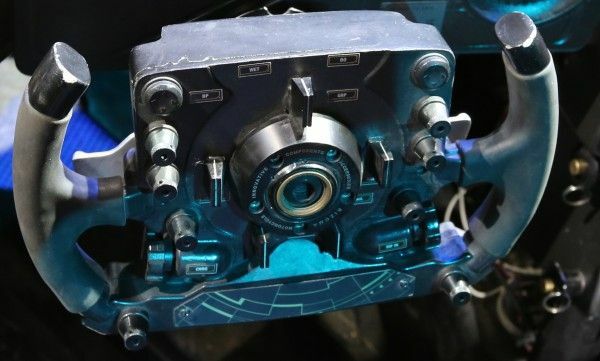 Now this goes without saying for the rest of the article, but even though the model of the Batmobile at the Licensing Expo was highly detailed, that doesn’t necessarily mean these gizmos will make it into the movie. I, for one, really hope they do, considering the gadgets we’re about to check out. Now I wouldn’t get too crazy about the “Rizoma Motorcycle – Innovative Components Accessories” … unless of course the Italian motorcycle manufacturer happens to partner with the film for a new take on Christopher Nolan’s Batpod. More than likely it’s just a cool piece of hardware that Bruce Wayne uses to cobble together his Batmobile. 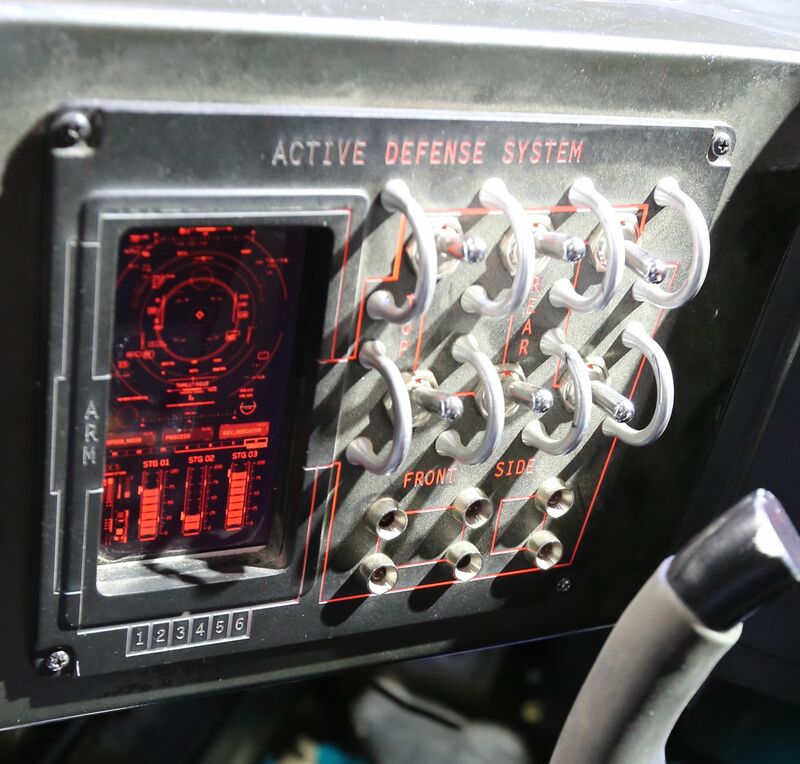 Still, one hopes that the labels on the steering column – CHRG, BP, WET, BO, GRP – have something to do with the weapon functions. Even Superman himself might be knocked out by wet B.O. Now, on one hand that’s a pretty cool list of gadgetry to pack into the Batmobile, especially since this is a model prepped for the Licensing Expo. On the other hand, Batman’s at war with Superman in this go-round, and I’m pretty sure that the majority of these devices won’t put a dent in the Man of Steel (though that harpoon might be good for some super-fishing…). While the Aerial Scanning will sure come in handy, the only weapon I see having even a bit of an effect is that Sonic Repellent, assuming that Superman’s super-hearing is super-sensitive to that sort of thing. So what do you think? 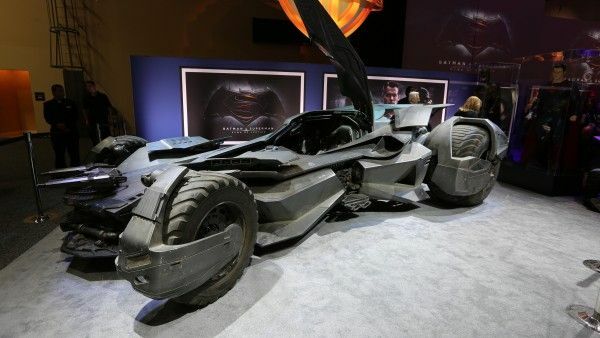 Just a cool way to dress up the Batmobile for attendees? 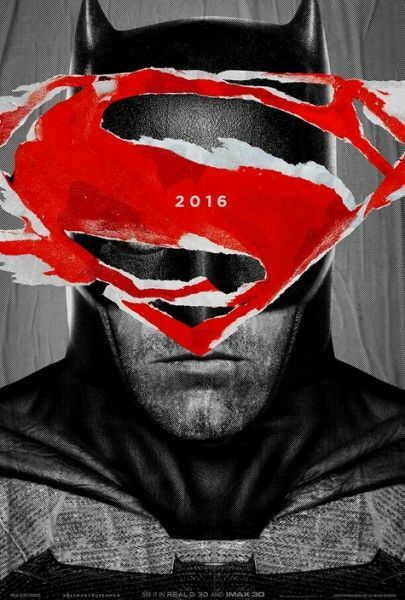 Or are these devices we can look forward to seeing in action when Batman v Superman: Dawn of Justice opens March 25, 2016. Peruse our recent Batman v Superman links below.